Hi Everyone! There's not going to be an Ask The Expert interview today. But I've got some good things to share with you. First, sorry I wasn't around blogs, Twitter, or Facebook much last week. It's been crazy busy at work (more on that next week). And I organized the senior night program for Anna Li's high school swim team, which went really well. Plus there was a second swim meet last nigh. So yes, it was insanely busy. Second, Stina Lindenblatt, one of our followers and a friend many of you know, just revealed the cover for her debut NA book, TELL ME WHEN. It's gorgeous! Stina lost her blog on blogger recently and is building up her new blog so you might not know about her big news. So go HERE to check out her awesome cover and congratulate her. And here's the winner of NOT A DROP TO DRINK--Cherie Reich! Next, I'm helping celebrate Angela Ackerman and Becca Puglisi celebrate the release of their two new books. 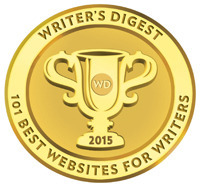 And to celebrate, they've got a plan for writers to help each other. Each day this week, there's an AMAZING giveaway, too. 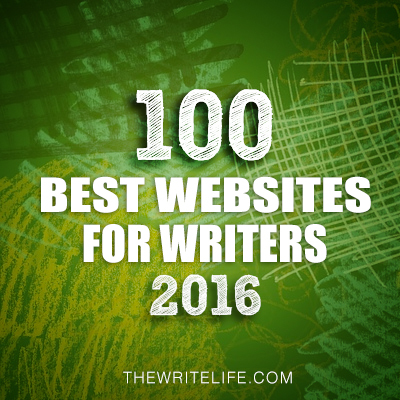 So stop in at Angela & Becca’s new Writers Helping Writers website and find out how to take advantage of this unique, pay-it-forward event for writers. I'll see you there! Next, I have an ARC of THE DISTANCE BETWEEN US and a print copy of THE HERO'S GUIDE TO STORMING THE CASTLE for a giveaway. I haven't read them, but have heard fantastic things about them. the Princes Charming who finally got some credit after they stepped out of the shadows of their princesses - Cinderella, Rapunzel, Snow White, and Briar Rose - to defeat an evil witch bent on destroying all their kingdoms. Thanks to Harper Collins and Walden Pond Press for providing these for a giveaway. To enter, all you need to do is be a follower (just click the follow button if you’re not a follower) and leave a comment telling me which book you'd like (no guarantees) through November 2nd. I’ll announce the winner on November 4th. If your e-mail is not on your Google Profile, please leave it in the comments. If you mention this contest on Twitter, Facebook, or your blog, mention this in the comments and I'll give you an extra entry. This giveaway is for U.S./Canada only. Tomorrow I have a Tip Tuesday by J. Curtis Mace and a giveaway of KEEPING THE PEACE, his paranormal story. 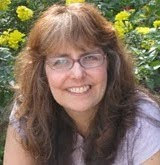 On Wednesday, I’m interviewing my awesome critique partner Lori Sawicki, who recently self-published her MG contemporary story, THE POWER OF TWO. It’s a fantastic contemporary story about bullying and friendship. I loved the vivid, complex characters Lori created in Jamie and Pru. And she's got tips on marketing when you're not on Facebook or Twitter and don't blog. Next Monday, I’ll be giving away my signed ARC of EXILE, book two in the MG fantasy series by Shannon Messenger and a signed copy of her YA fantasy, LET THE SKY FALL, and sharing about getting to meet Shannon. It was SO awesome! Next Wednesday Kit Grindstaff will be doing a guest post and there will be a giveaway of her MG spooky fantasy, THE FLAME IN THE MIST. Kit’s interview was super popular so I’m excited to give you another chance to win this. The following Monday I’ll be interviewing Meagan Spooner and Amie Kaufman and giving away an ARC of THESE BROKEN STARS. It’s a fantastic sci-fi story which really got me in touch with how similar sci-fi world building can be to fantasy, my favorite genre. Looking forward to being part of the race too! Both books sound fantastic! Love the idea of the princes getting their turn! Angela and Becca - you two have such great ideas! Natalie - thanks for continuing to share good news and books. *hugs* for the shout out, Natalie. I'm looking forward to the race. And The Distance Between Us looks great. I want to read that. Love the cover!!!! Thanks for the heads up on the books and race. I'll have to add Healy's books to my TBR list. I'd take either but put be down for The Distance Between Us. Joined the race and running on the outside track. Look for me. I'll catch up on the straight away. Hard to choose what book I'd like to read. Both sound interesting. I'll just say either one! Sounds like you've been incredibly busy, but having fun too. Thanks for the info on the race. Book 1 of The Hero's Guide was really funny, I wouldn't mind an opportunity to read the second. Yay! So excited to win a copy of Not a Drop to Drink! Both books sound so awesome! Congrats to Cherie! And what a wonderful giveaway. Either book is awesome! Ooo, The Distance Between Us is on my list. I loved Pivot Point! 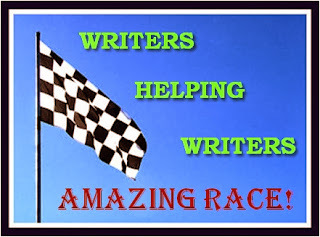 The Amazing Race for writers is such a wonderful way for writers to help each other. Both books sound great, but I'd probably lean more toward The Distance Between Us. You are one busy person, Natalie! Congrats to Cherie! These books both sound like great reads. 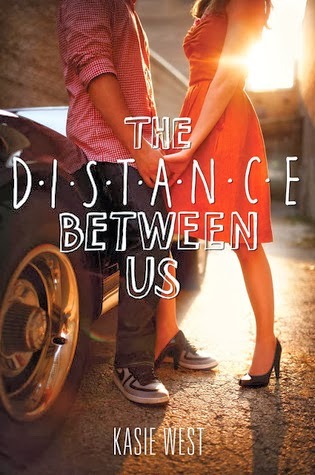 But since I haven't read the first Hero's Guide, I think I'd go with The Distance Between Us. And I went over to congratulate Stina, so thanks for the heads up about the cover. 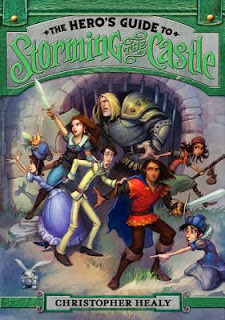 I've been dying to read The Hero's Guide to Storming the Castle! 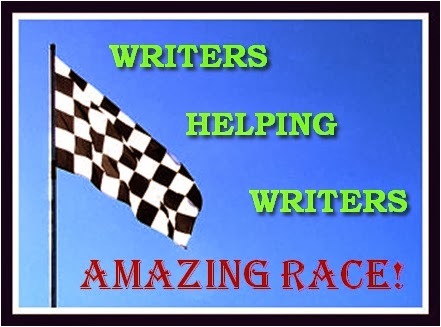 Thank you for sharing the info on the Writer's Amazing Race. Going to check out right now! I would love The Distance Between Us. Wow. 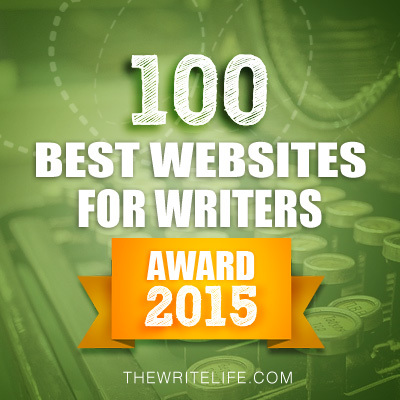 Lot's going on around the blogosphere. These two books sound great. Thanks for all the info and for the chance to win. Writers Helping Writers Amazing Race has been great. Super helpful. I'd love to win The Hero's Guide to Storming the Castle. It sounds like fun. These two books sound like great reads. I hope to win a copy of either one. I'll post on Facebook! Thanks for the giveaways! I love the idea behind the Hero's Guide to Storming the Castle. My kids and I would all love that! Sounds like you have tons on your plate, Natalie. Good luck to anyone who participates in the Amazing Race. It sounds like tons of fun. The Hero's Guide to Storming the Castle sounds awesome. Would love to win a copy! Both books sound great, I'd be happy with either one (but if you want a pick, then I'll go with The Hero's Guide to Storming the Castle). What great books! I look forward to next week, and I hope your week is less crazy than last week, Natalie! What a great post! Congratulations to everybody! I'd love to win a copy of The Hero's Guide. 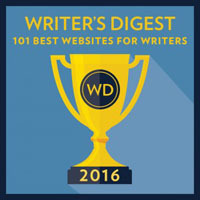 Interesting writer's event. It's nice to see a community coming together like that. And I'd love to read The Hero's Guide to Storming the Castle. It's predecessor was hilarious! I'd love to read The Distance Between Us. I have heard such great things about it just haven't picked it up yet! The Distance Between Us sounds like a great book. I'd prefer *The Distance Between Us*. Thanks.